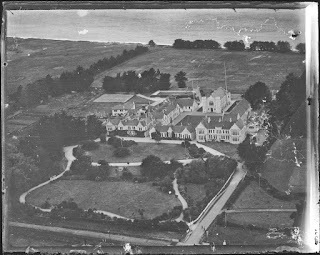 In addition to the image collection, the West Auckland Research Centre also have an interview from 1974 with Douglas Mill in the oral history collection held there. The sections in italics below are taken from a transcription of this interview and allow Douglas Mill to explain his motivation for buying the plane and how he went about it. 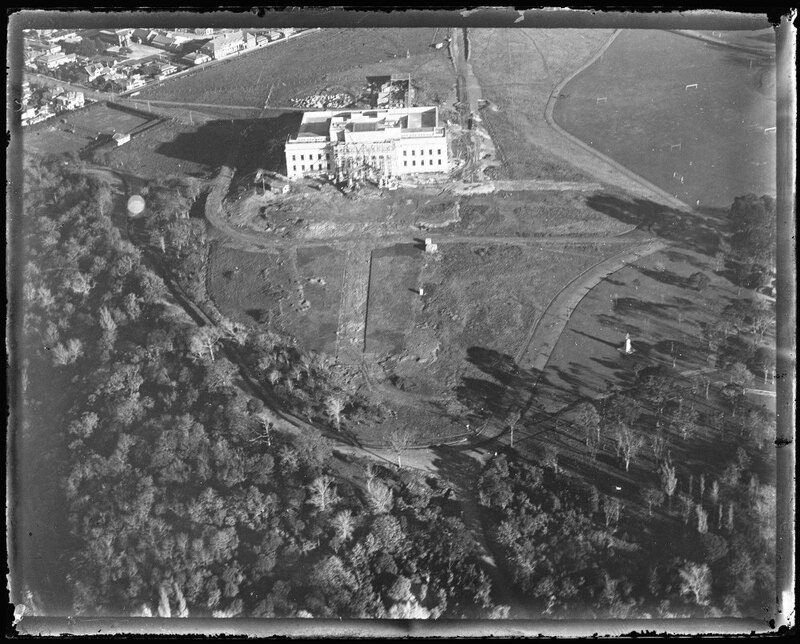 Ref: F. Douglas Mill, Auckland from the air, 1930?, West Auckland Research Centre, Auckland Libraries, FDM-0729-G.
Ref: De Havilland Moth G-NZAT on the ground, March 1928, West Auckland Research Centre, Auckland Libraries, FDM-0912-P.
Ref: DH.60X Moth on the ground, 1927, West Auckland Research Centre, Auckland Libraries, FDM-0966-P. 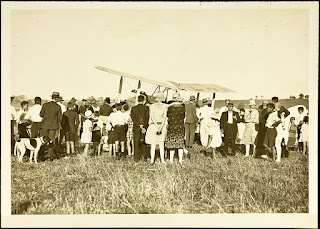 The purchase of the aeroplane was newsworthy back home in New Zealand. 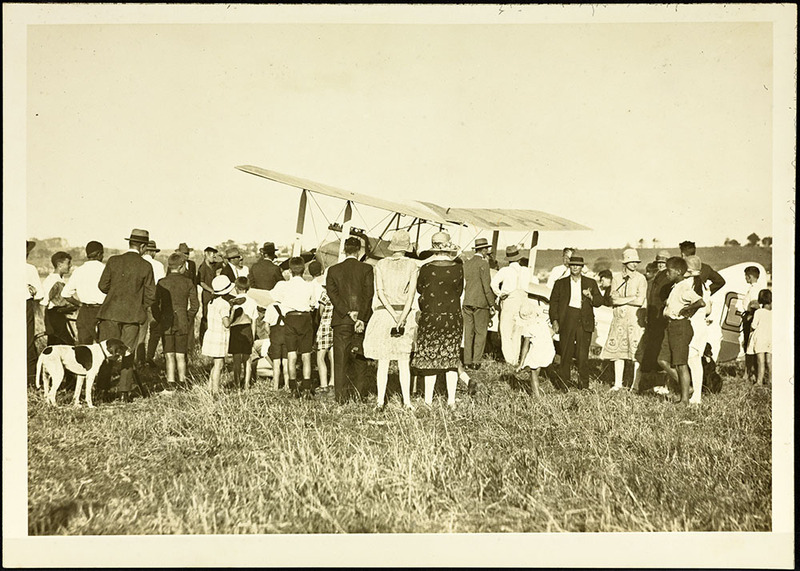 The arrival of the Moth aboard the Mataroa at Auckland on 24 February 1928 marked the start of a new era for New Zealand civil aviation. 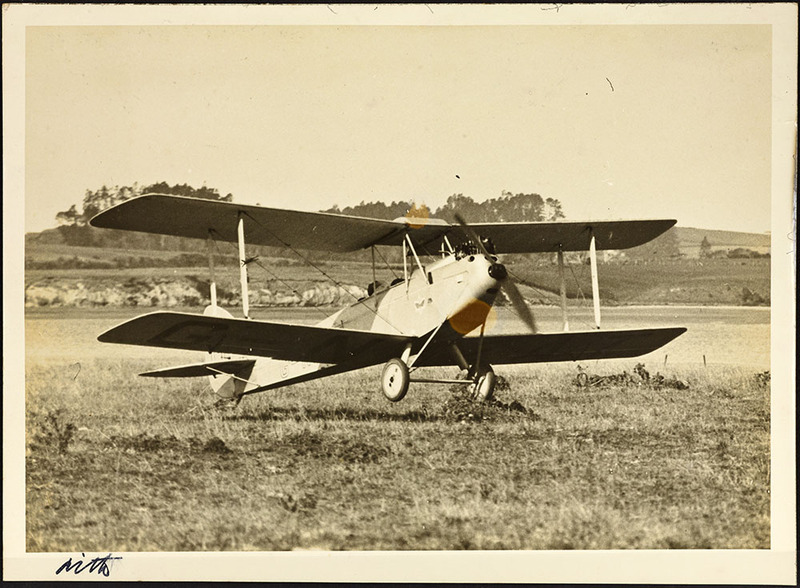 …the biplane caused some excitement in Auckland – being displayed in Milne and Choyce’s Queen Street store in early March (Ewing & Macpherson, p.84). G-NZAT – New Zealand’s most modern aircraft- made its first flight from a paddock bordering the Tamaki River on Sunday 11 March. 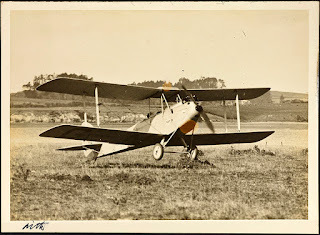 Ref: First takeoff of de Havilland G-NZAT at Tāmaki Heights, 11 March 1928, West Auckland Research Centre, Auckland Libraries, FDM-0893-P.
Whilst over in England Mill had entered the famous Schneider Trophy with Leonard Isitt and there was a lot of press coverage of it back home. 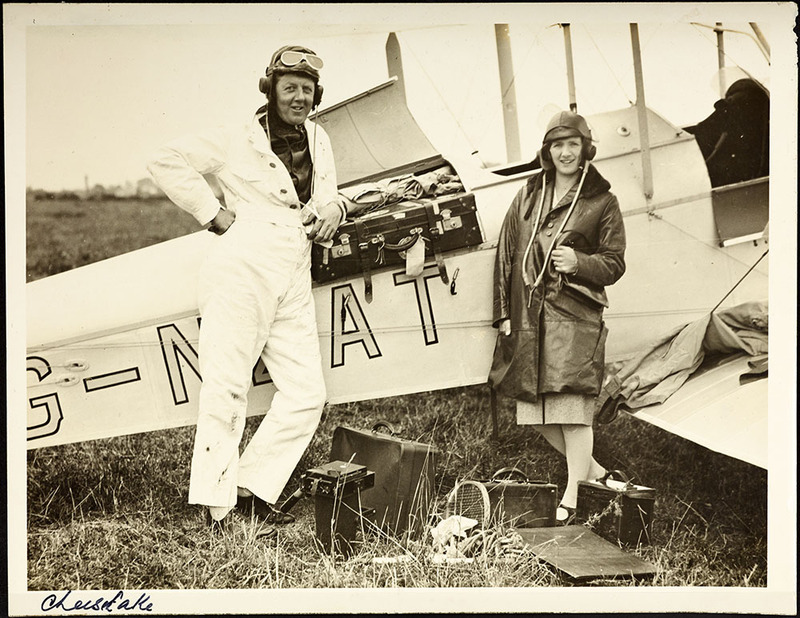 Ref: Audrey and Doug Mill beside their Moth G-NZAT, March 1928, West Auckland Research Centre, Auckland Libraries, FDM-0915-P.
Mr and Mrs Mill made three flying tours to the South Island during 1928, making newspaper headlines regularly and attracting hundreds of New Zealanders outside to watch the progress of the Moth overhead. As we can see from this photograph, the excitement continued throughout the year. 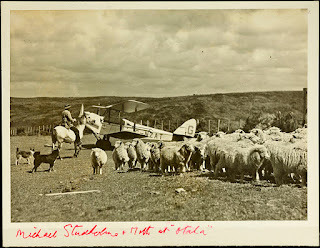 Ref: Group of onlookers surround Doug Mill's de Havilland Moth, 1928, West Auckland Research Centre, Auckland Libraries, FDM-0897-P.
Ref: F. Douglas Mill, Waitaki Boys' High from the air, 1930?, West Auckland Research Centre, Auckland Libraries, FDM-0233-G.
“[Mill] shifted operations to the site of the new NZPAF base at Hobsonville. 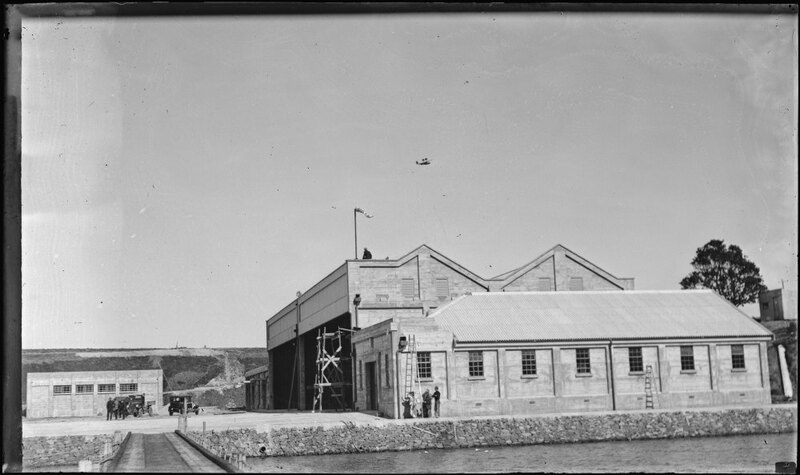 He built a hangar and workshops across the road from the airfield. The Air Survey and Transport Company was formed, and Bob Johnson, former works manager for the New Zealand Flying School, came out of retirement to be chief engineer. 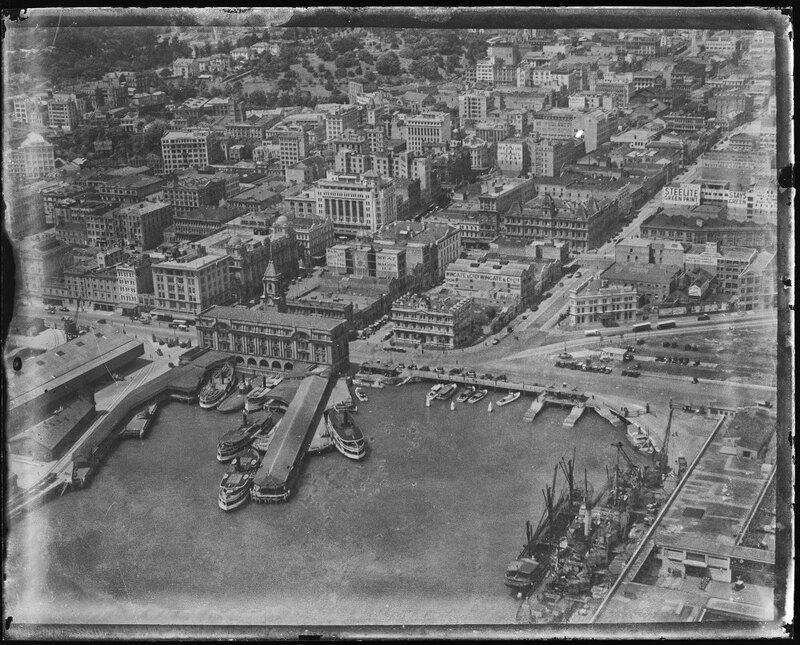 On the 15 March 1928 the New Zealand Herald prominently featured an image of central Auckland taken from Doug Mill’s Moth. Douglas Mill’s Air Survey and Transport Company continued to import Moths and chalk up historic flights until war interrupted. "[The] war came along and stopped all that. I was immediately posted to Hobsonville. 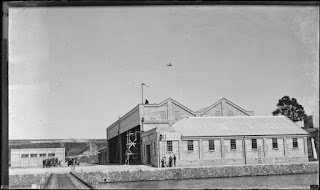 The air force wanted more land at Hobsonville so they bought me out – they wanted the hangar and where it was but I managed to persuade them that if they took the hangar away they had taken my livelihood away so they had better take the house and everything else." 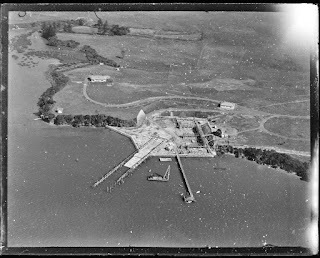 Ref: F. Douglas Mill, Hobsonville from the air, 1930?, West Auckland Research Centre, Auckland Libraries, FDM-0333-G.
Ref: F. Douglas Mill, Hangars at Hobsonville seaplane base, 1930?, West Auckland Research Centre, Auckland Libraries, FDM-0153-G.
For more information about the area see our previous posts about Mill’s house at Hobsonville and Hobsonville Point and read a summary of the heritage walk around Hobsonville Point. 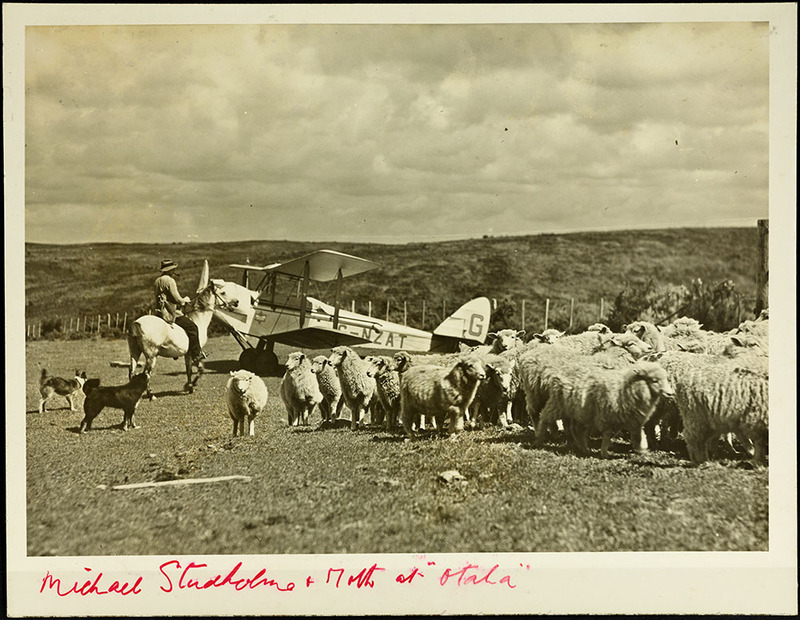 The background information that informs this blog post is taken from The history of New Zealand aviation: by Ross Ewing and Ross Macpherson. Douglas Mill features in a couple of resources available through Ancestry.com. He is in the Who’s who in New Zealand and the Western Pacific, 1938. 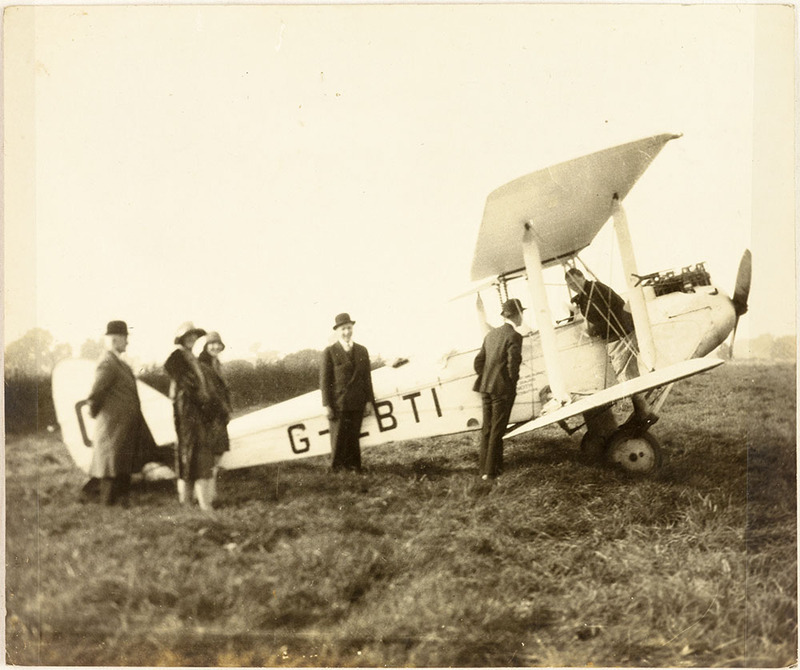 On account of his time spent on the refresher course in the United Kingdom, Mill also features in the Great Britain, Royal Aero Club Aviators’ Certificates, which contains index cards and photographs that are in the care of the Royal Air Force Museum, London. 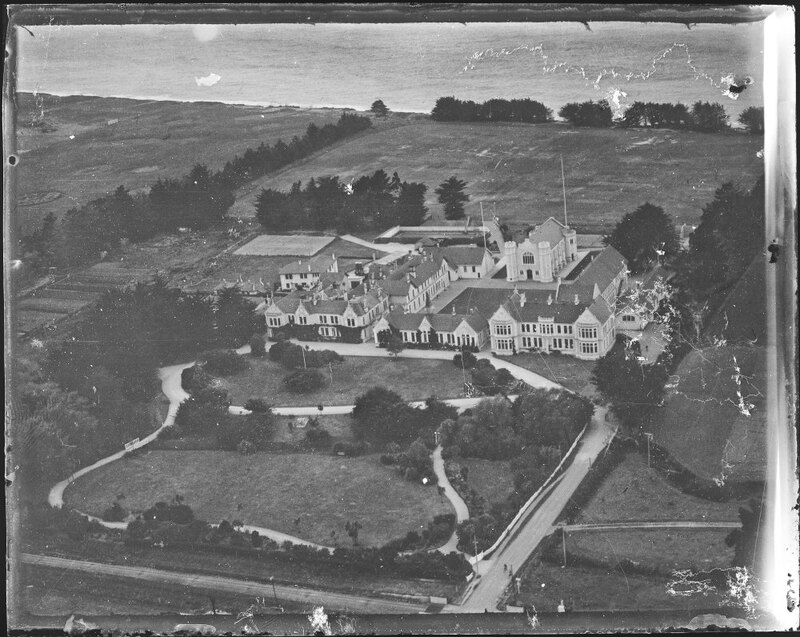 You can access Ancestry from any of Auckland Libraries’ 55 branches. 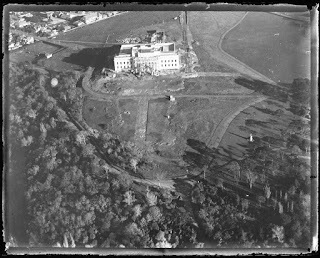 Nice post dear, now aerial photography is very popular all over the world. 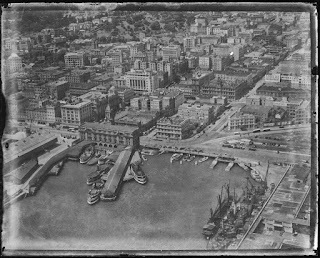 Aerial photography allows clicking the same kind of landmark footage. For those who want to learn to Aerial Cinematography, which has now gained popularity all over the world. Singapore Aerial Photographers have become very popular as people want their weddings to be the most beautiful and grand.